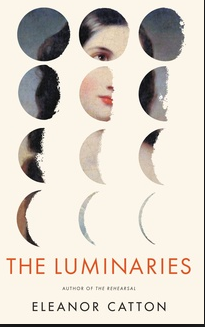 The good thing about Eleanor Catton’s Booker winning novel, The Luminaries is that when I got to the end, I started all over again. The bad thing about it is that when I got to the end, I had to start all over again. Good because it is interesting and multi-layered enough to read again. Bad because I still didn’t get it. The book’s 832 pages took me 13 days to finish. (Usually a book takes me three days.) I gave up television and cold weather kept me inside, so reading it was pretty much all I did. Should you read it? It depends. Reviewers are widely divided. Bill Roorbach in the New Yourk Times (Oct.16/13) waxed lyrical in its praise. nytimes.com Another reviewer refused to review it because he couldn’t get past the first few pages and then, after it won the Booker, did read it and decided life was too short for such books. He notes that Catton has suggested her book does not appeal to men over 45. In his blog, Claude Nougat examined the pros and cons in “Should You Read The Luminaries?” and decided to wait for the price to fall. http://claudenougat.blogspot.ca There are 72 pages of reviews on Amazon, ranging from 1 star to 5. The bad reviews remind me that Rome plowed Carthage with salt so that the city could never recover. Almost every review mentioned its slow start and the fact it was written in Victorian English, formal and stilted. I nearly wore out the page at the front where the characters are listed. Until I had more or less memorized who was who, the twelve men at the meeting in a back room of a shabby hotel, I couldn’t keep them straight. Even after I had been provided with detailed physical and psychological descriptions, I couldn’t tell them apart easily once they got talking. One reviewer said “Don’t tell. 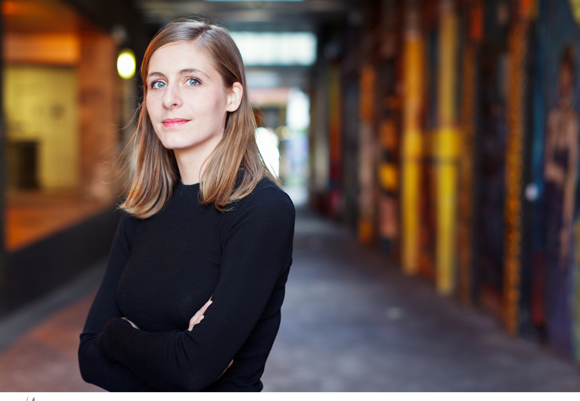 Show.” Something I harped on as a writing teacher, but Catton feels the novel form is ripe for reinvention. True, I wasn’t immediately hooked, but two readers I respect had thought of giving it to me, so I persisted and soon I was drawn in to it. First there was the exotic setting – Hokitika on the west coast of southern New Zealand during the gold rush of 1865-66, beginning on January 27th. Yes, that would be summer down under, but it is a dark and stormy night, as almost all reviews point out, so stormy in fact that ships are in more danger than usual at that perennially dangerous port. Second, there are the three mysteries, which newly arrived Scotsman Moody stumbles upon when he gate-crashes the private meeting of 12 worthies of the town who have gathered to try to resolve: why did a drunk, Crosbie Wells die with a fortune in gold bars hidden in his shack, why did Anna Wetherell – alias the Whore- try to kill herself with opium and what has happened to the wealthy, likeable and beautiful young man, Emery Staines, who has disappeared without a trace. Oh and what of the gift of deed to Anna of half the fortune, found unburned in the ash tray of Crosbie’s stove. Other puzzles soon emerge: how has the villian Francis Carver harmed Ah Sook, Crosbie Wells, and Anna, how many illegitimate half brothers does the politician Alistair Lauderback have, who is Mrs Wells actually married to, where is Lauderback’s missing shipping crate, who shipped the trunk with five silk dresses, why is the warden, Shepherd intent on killing Ah Sook and vice versa. Etc. etc. The ownership of the fortune in gold is particularly tricky. You may need a flow chart. Let’s just say a heap of irony is involved. And third, why is there a zodiac chart indicating the sign of each of the 12 worthies as well as the position of the Sun, Mars, Jupiter, Saturn, Venus, and Mercury? And who are the luminaries? Other reviewers have verified my conclusion that some mysteries are never entirely cleared up, although I was left with a pretty good guess at the truth. The book gets better and better as it goes. Part One, “A Sphere Within a Sphere”, set on Jan 27th is 360 pages long and includes a retelling from 12 points of view of the events of Jan 14th; Part 2, “Augeries”, Mar 20, 1866, 159; Part 4, “Paenga-Wha-wha”, April 27, 1865/April 27,1866 , 95 pages long; Part 5, “Weight and Luchre”, May 12, 1865, 40 pages long; part 6, “The Widow and the Weeds”, June 18, 1865, 21 pages; Part 7, “Domicile”, July 28, 1865, 11 pages; part 8, “Mutable Earth”, Sept. 20, 1865, 4 pages; part 9, “matters of Succession”, Oct 11, 1865 2 1/2; part 11, “Orion Sets When Scorpio Rises”, Dec 3, 1865, 2 pages, part 12,”The Old Moon in the New Moon’s Arms”, Jan 14, 1866, 1 1/2 pages and we finally learn who the luminaries are. In short, the novel moves from slow-paced, DIckensian to brevity, to the episodic and lyrical. It was the speed and loveliness of the end that made me like the luminaries so much that I wanted to stay with them for a second read. This entry was posted in books, reading and tagged Amazon reviews, Booker Prize 2014, Eleanor Catton, New Zealand gold rush by joyceahowe/hood. Bookmark the permalink.